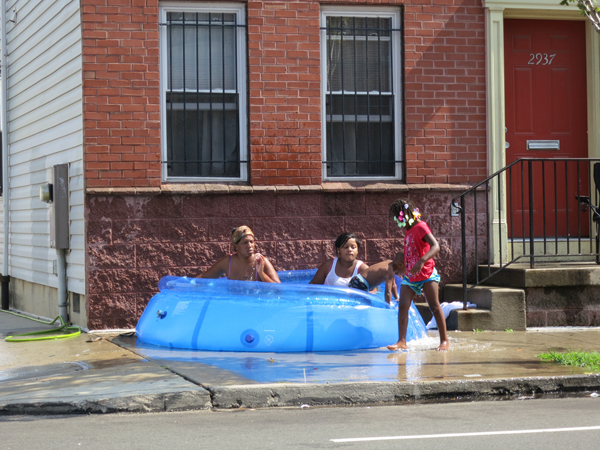 The hydrants up and down Lancaster Ave. in Philly were all gushing yesterday, but this family took it to the next level. I used to have a Mr. 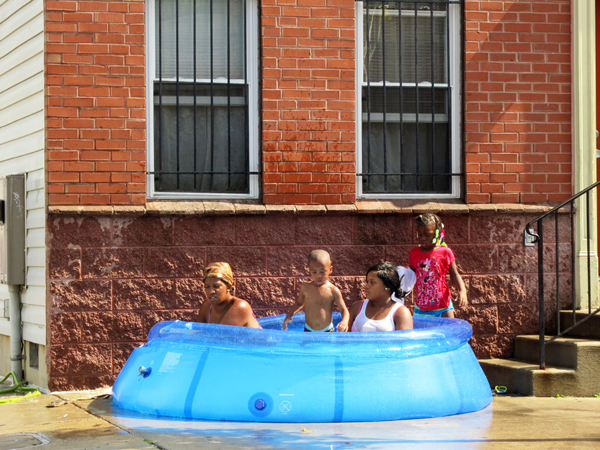 Turtle pool when I was a kid and my dad would join me. He'd just sit in it, set up in our backyard in Queens, popping can after can of Budweiser. He'd take one of the pots from the stovetop and every few minutes he'd scoop up some water and dump it all over his head. 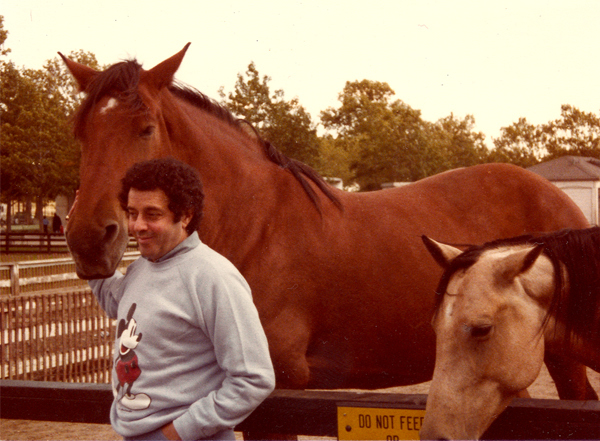 My Dad with a horse in Flushing Meadow Park. He wore that shirt every day for two years straight at one point. Whoa! I haven't thought about my old Mr. 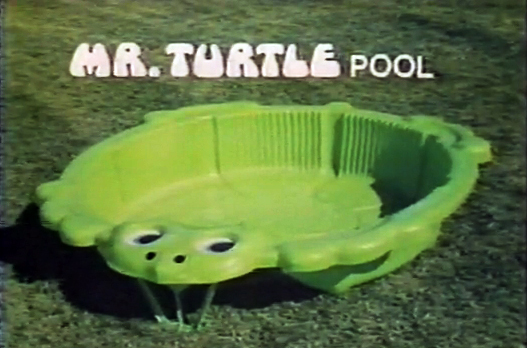 Turtle pool in forever. I used to scrape my legs on the outer edges all the time but I still loved that thing.